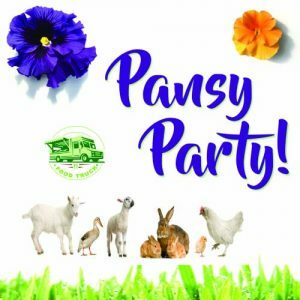 Pansy Party 2019 will be held April 6 & 7! Food Trucks, Local beer vendors, Kids Klub Planting, Baby Animals & More! Check back soon as we add more event details!